This textbook on obstetrics, edited by GM Savelevoj different from previous similar books that for the first time in its preparation participated leading domestic team of medical researchers with extensive experience in teaching. Thanks to technological advances in medicine have changed ideas about many pathophysiological processes occurring in the body of the mother, the fetus and newborn, to develop modern approaches to diagnosis, therapy and prevention of various complications of pregnancy and childbirth. All this poses new challenges to education and to the educational literature, respectively. Along with the inclusion of all sections of the textbook of modern information about scientific achievements to preserve the foundations of classical obstetrics presented in textbooks and manuals published in previous years (authors GG Genter, KK Skrobansky, MS Malinowski, IA F. Jordania, VI Bodyazhina, KN Zhmakin et al.). Widely used materials monographs domestic and foreign authors in recent years. Along with the basic directions of obstetric science, adopted in our country, to express the point of view of the authors of foreign textbooks on obstetrics. Knowledge of individual sections of obstetrics teaching abroad allows students and physicians to better navigate the world of scientific and practical literature. In this tutorial, a significant emphasis on the achievements in the field of perinatology, due to modern Obstetrics at protecting the health of future generations. In contrast to previous manual contains sections that were previously either absent or content wore them for reference. These include "placental insufficiency", "Medical-genetic counseling and prenatal diagnosis", "Izoserologiches-kai incompatibility between the blood of mother and fetus," "Intrauterine infection," "septic shock", "Hemorrhagic shock," "Family Planning", etc. . The organization of obstetric care in our country is presented at the end of the textbook, which is associated with the need to manipulate the obstetric terms and concepts that students learn only at the end of training. 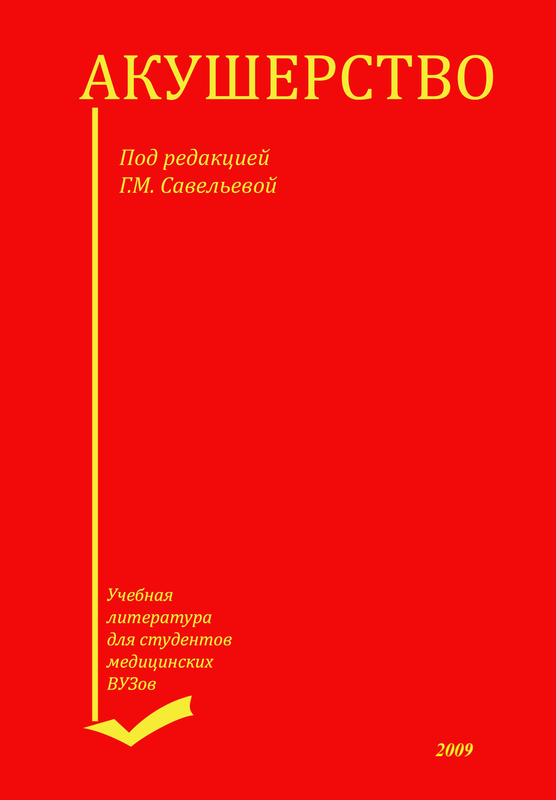 Textbook prepared in accordance with the program approved by the Ministry of Health of the Russian Federation, and is designed for medical students, residents, graduate students.